Masjid Sultan. 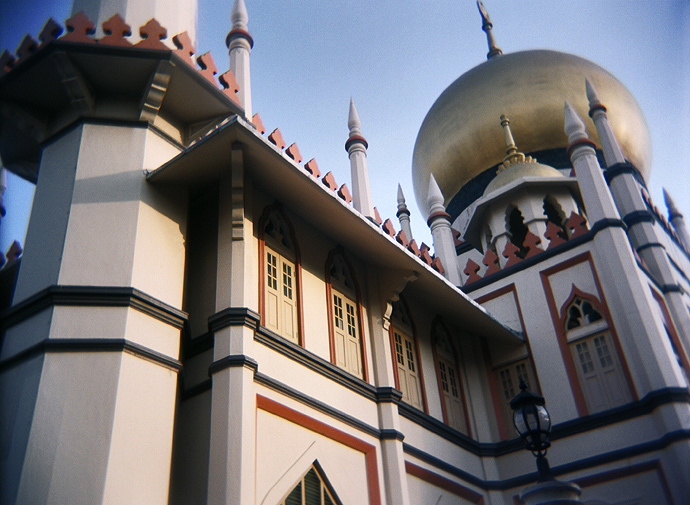 An early morning Holga shot of Singapores main mosque. A magnificent structure. I can't believe I never saw this before…or anyone else for that matter. I love the perspective here. The Holga effect just gives it this surrealism that makes this image stand out. Perfect, unique and just beautiful.